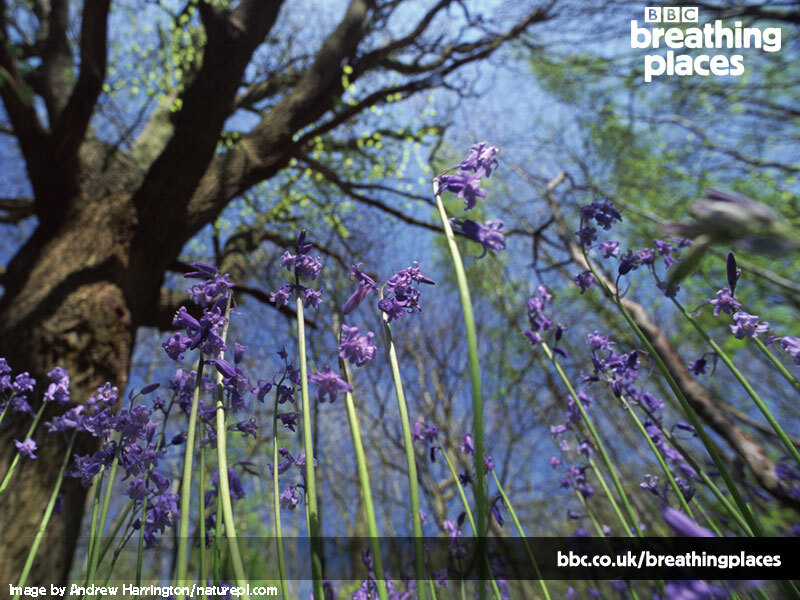 Breathing Places is a major BBC Learning campaign to inspire and motivate people to create and care for nature-friendly green spaces where they live. It aims to get millions of people to do one thing for nature. A Breathing Place is a green space that benefits wildlife and the local community. It may be local woodland, roadsides, parks, local nature reserves or wildlife areas, ponds, green corridors and wildflower meadows. The BBC works with a host of partner organisations, volunteer associations, environmental charities, city councils and educational groups. Fleet Pond is one of these partners. 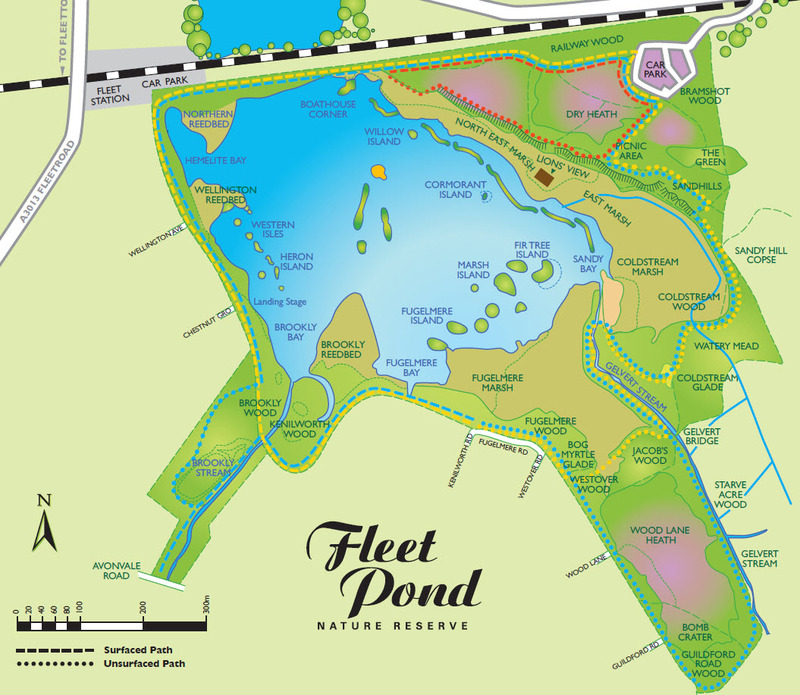 If you go to the official website and type fleet pond into the search box a whole host of information on the Pond becomes available, including a map and information on recommended walks and volunteering activities. The picture above is one of the downloadable wallpapers. Vicki Jull, who is on the Committee of Fleet Pond Society, is also very keen on the history of Fleet and environs. Out of curiosity, Vicki searched eBay recently to see if there was anything available related to Fleet Pond – quite a remote possibility you might have thought! However a postcard with a picture of the old boathouse came up, which was about 100 years old! The image above is a scan from this (purchased) postcard. 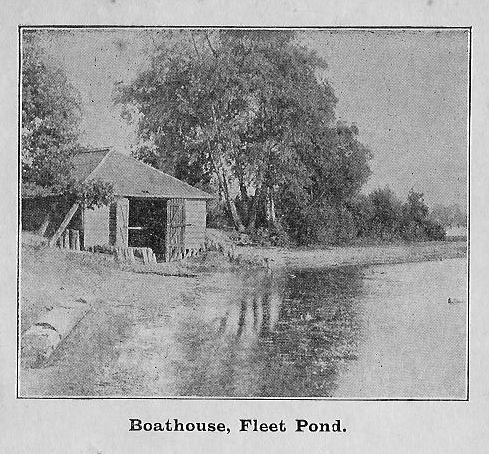 The original boathouse has long since disappeared although a Boathouse Corner can still be seen on the map (see About above). Up until the 1930’s, Fleet Pond had a fine sandy beach on the east side that was a favourite spot for picnics and swimming (and associated boating). Here is a nice write-up of yesterday’s walk – A Wednesday Night Bat Walk. It even includes sample sounds from the Noctule, Pipistrelle and Daubenton bats that were there! 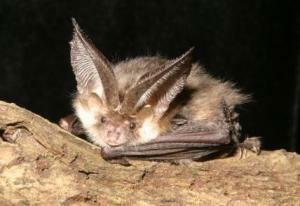 More information on bats can be found at the Bat Conservation Trust. This site includes sounds as well as pictures. It is interesting to note that all UK bats and their roosts are protected by law. This guided walk will take place on Wednesday 10 September. Meet at Fleet Station pay & display car park next to the Reserve at 7.30pm. Further details on the walk can be found on a previous post and information on bats, among many other places, can be found at The Bat Conservation Trust. This fellow was spotted by Colin Gray recently near Fleet Pond. It was moving slowly as it was a cool morning. It was gently helped across the footpath as there were several dog walkers in the vicinity! The marshland surrounding Fleet Pond supports a rich diversity of wetland plants. Purple and yellow loosestrife, marsh lousewort, the rarer marsh cinquefoil and many different rushes and sedges are included. These support many different insects, spiders and snails, which in turn provide food for birds, small mammals, frogs and toads. The marshes support Fleet Pond’s two snakes. The grass snake is a good swimmer and finds most of its prey in wetland areas. 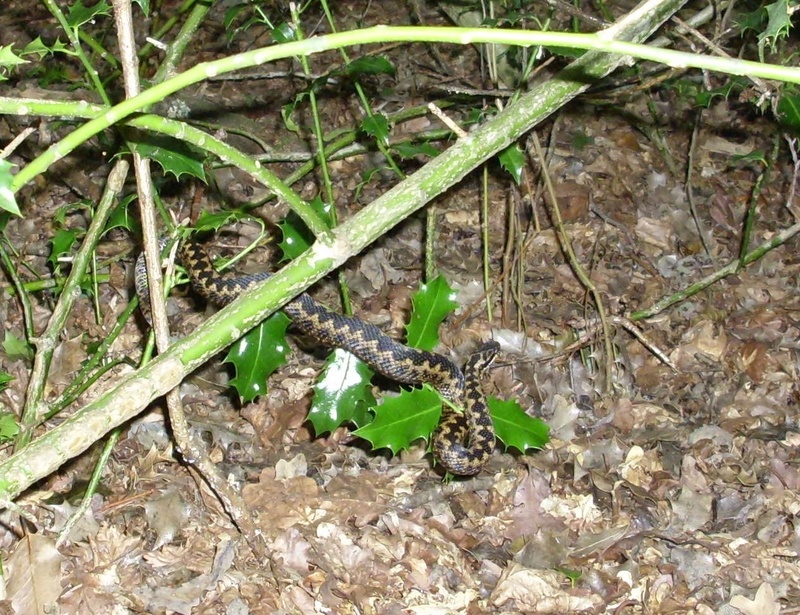 The adder, more usually associated with dry habitat, is often found hunting in the wetlands where it is less likely to be disturbed by people and dogs. A volunteer group from the Environment Agency (Thames Region), based at Frimley, will be carrying out work at Fleet Pond on Friday 26 September. They have never worked at Fleet Pond before and will be removing birch seedlings and saplings from the Link Glade, Dry Heath (near the car park). You are currently browsing the Fleet Pond Blog blog archives for September, 2008.